I can analyze geographic information to examine the effects that a geographic or enviromental change in one part of the world may have on other parts of the world. I can compare and contrast the region of Ancient Civilizations then and now. I can analyze the key characteristics of the Ancient Rivers that influenced the development of the ancient civilizations. I can use scientific Vocabulary when writing explanations of water scarcity. I can explain how new information connects to a topic, text, or issue I am studying. I can maintain consistency in style and tone when writing and speaking. I can cite text based evidence to support an analysis of informational text. 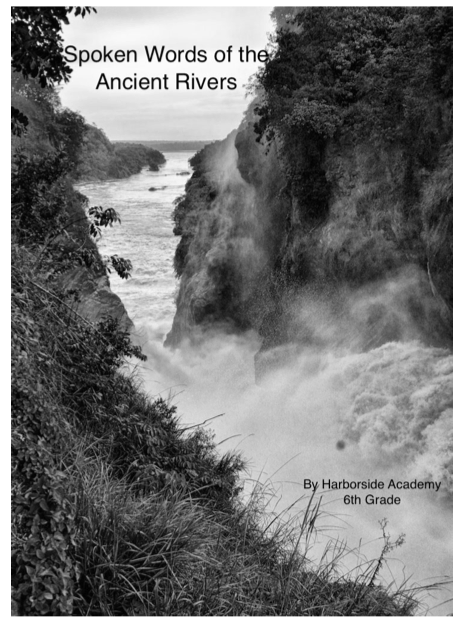 As part of the “Water Is Life” module students researched an Ancient River. Working with a local poet Students used Scientific vocabulary and their research to create a Pantoum poem communicating the health of the river and the overall water crisis facing our world. All poems were compiled into a poetry book “Spoken Words From The Ancient Rivers”. The books were sold to the public and proceeds went to “Wisconsin Water For The World” a local organization that organizes water relief projects to water stressed regions on the world. Students read their poems to the community at there culminating event.